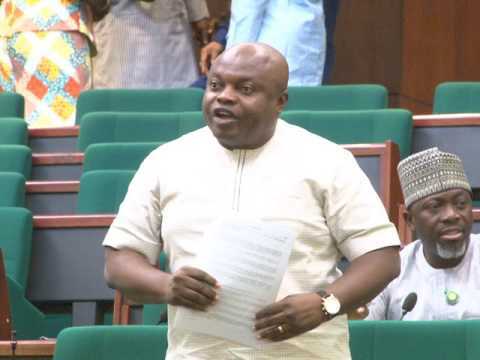 Lawmaker Mark Gbillah, from Gwer-East/Gwer-West Federal Constituency of Benue State, has once again urged President Muhammadu Buhari to declare killer herdsmen as a terrorist group with immediate effect. The lawmaker gave President Buhari a 48-hour ultimatum to address Nigerians on the spate of killings and insurgency, or he would be seen as incapable of ending the insurgency in the country. Speaking on the floor of the Green Chamber of the legislature, Gbillah spoke on the incessant killings by bandits, herdsmen and terrorist groups in some Northern parts of Nigeria and decried the inability of the President, who is the Commander-in-Chief of the Armed Forces, to stop and arrest the perpetrators. He claimed that the inactions of the President have further emboldened the bandits to continue their deadly acts. He said: “The House is alarmed at the brazen nature of the attacks by the herdsmen and alleged bandits who attack these communities with impunity, brazenly clad in military fatigues and audibly communicating with each other in Fulani, as reported by eyewitness accounts from the recent attacks in Kaduna. “Obviously emboldened by the inability of the Nigerian Armed Forces to curb their activities, these killers have gradually progressed from attacking remote villages at night to sacking whole towns in broad daylight, displacing residents and occupying affected communities. The Lawmaker gave Buhari 48 hours ultimatum to address the country and order the armed forces to put a stop to the killings of innocent Nigerians by bandits. The House voted in support of the motion and concluded that the President would be seen as incapable of ending insecurity in the country if he fails to act within the stipulated time. He said: “President Buhari should address the House and the nation within 48 hours on his inability and the inability of his administration since inception to declare the killer herdsmen as terrorists to enable commensurate action against them by the armed forces; the inability of the armed forces under his watch to stop the recurring deaths of scores of innocent Nigerians annually from systematic attacks by killer herdsmen and alleged bandits and the gradual occupation of affected communities by these herdsmen, despite countless assurances and statements by him promising to stop the attacks. An ad-hoc committee to meet with the Presidency and Chief of Defence Staff and also organize a public hearing to determine permanent solutions to insecurity was set up.